Not that long ago, the Family Center was only an idea. We needed land and we needed resources. We needed a building where our community in Haiti could be cared for and supported in a tangible way; where families could be strengthened. Our “Orphan Prevention” programs needed a home. So one year ago we launched the Kenbe Fèm Campaign. Just a few weeks ago, this idea came to life. The doors were officially opened! The Family Center dedication was a true celebration for our Three Angels family. In a community that has experience devastating pain, this was a healing moment in so many ways. We were able to stand side-by-side in a large multipurpose room to honor the sacrifice required to build it. Our students were there along with their parents who assisted in clearing out and building the family center. Our Haitian staff stood next to our donors who were able to fly in for the occasion. Let the oceans roar and foam. Let the mountains tremble as the waters surge. Our students got in on the excitement too. The next phase... more school rooms! 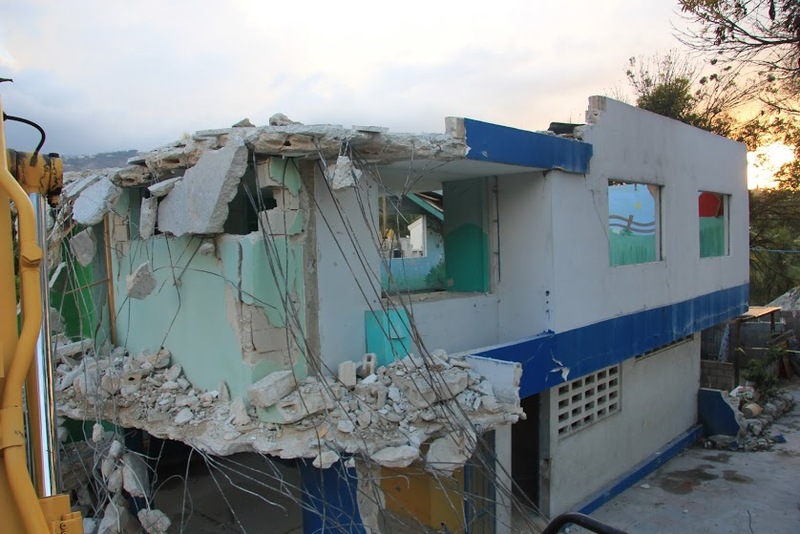 Anyone who has visited Port au Prince knows that space is a very precious commodity. Before this was built our BIJOU program was taking place in various nooks and crannies, school kids were eating on their laps and we had nowhere to teach adult literacy or health education classes. We feel beyond blessed to now have this Family Center. It is physical place where our hope can be shared. And we aren't done yet! This month we will be launching the second phase of our Kenbe Fém Center to support our school. We are working towards adding 6 classrooms, extending the school day and increasing enrollment by about 100 students. Click here to find out how you can help.